In the world of office violence, home invasions, hijackings & back-alley muggings, you must have the tools to survive. Vladimir Vasiliev of Russia’s Special Operations Unit will amaze you with real-speed, smooth and precise ways to totally neutralize threats when your mobility is severely restricted. From the most disadvantageous positions and with true professional calmness, Vladimir instantly shoves the aggressor under the desk, smashes him against the wall, traps him in a drawer, sends the knife flying from his hand, then stuffs two muggers into a corner, tangled against each other and unable to move. It is as if you are at a big screen action movie... but the action is REAL! And, for the first time ever, Vladimir explains & demonstrates lightning fast "short work" and then gives you clear & practical drills to practice and to prepare your body & mind for the times when there is no room to move or time to waste. Your space may be confined, but not your actions. Just got it in the mail Today and just finished watching it. I am so glad I decided to perchase this video. Watching Vadimir in this video is very much like watching a master magician or slieght of hand artist. His form of self defence is very much in the style of thinking as a slieght of hand artist doing a coin trick. That is no overtly obvious movements,no need to show any emotions and complete economy of motion and two steps ahead of you just like a expert slieght of hand artist and yet very James Bond like. watching him so cool and relaxed sitting in a chair with out a care in the world just seem almost disrespectfully reverant to almost all other martial art form. Just like you would never have a chance at calling out a master magician with his slieght of hand tricks because you read a couple of magic books when you were a kid is the same as you thinking you can catch this man off guard because you studied martial arts for years and he is \"defenceless\" and unarmed while sitting in a chair.Nothing would be more of a illusion. This is an amazing peice of KIT...! As per usual, very easy to watch and to understand, it covers all angles of defence and answers all your questions to "What If..?" A must for anyone who works in the front office or in the public, dealing with cash or any possible threat...!! Defense in Confined space is excellent. It is very straight forward and easy to follow. This is the first DVD I have bought from Russian Martial Artand the next will be "Strikes" that also looks very good. Is there any dates for the possible release of other Titles being put out on DVD. There are 4 more I would buy if they come out on DVD. I have to give the man in the DVD who is working with Mr. Vasiliev alot of credit. You could tell the routines shown were full contact and follow through. The poor guy was in pain most of the time. Bravo to Vladimir he shows it like it is supposed to be done. I have to honestly say, this is the best systema film I have seen yet. I was amazed by the speed, power and effectivness of vlads work. while remaining so calm and relaxed. the moves were so swift and soft. But at the same time so powerful and dangerous. The film answered so many question's I had. As Im sure It did for a lot of people. And being a systema student for almost five years now, in time you develop your own style of the art. and after viewing this film, I feel my style has improved. and my train of thought has definitly changed for the better. It is truly a wonderfull addition to the world of systema. thanks Vlad. In a time when American business loses 36 billion dollars a year due to workplace violence, comes a program called Defense in confined Space. Available in DVD, this rare, insightful and much needed presentation deals with the issues all businesses and employees face; specifically, how to deal with violence in the workplace. Vladimir Vasiliev, a ten-year veteran of the Russian Special Forces and Russia's Special Operations Unit reveals his secrets for subduing aggressors and multiple assailants in a straight forward and easy to understand manner. Most people can benefit from these maneuvers regardless of physical stamina, martial arts experience, gender or age. this program should be mandatory for every human resource department, small business and everyone who works in an office. Economy of movement and time. At 53 years old, that is very helpful. The film appeared to be very dynamic and interesting to watch. Vladimir demonstrated fast and slow movements with explanations between them, which make more clear what is happening after his fast demonstrations. In the first part, Vladimir gives an idea, how to work effective in the office and put in use different objects like the office desk, book, wall etc. The second part is attracting to me as Vladimir shows, how to use the wall and doors effectively to defend you self from punches, kicks, and knife. Vladimir gives detailed explanations and demonstrations for his every movement. The movie is really look great and one of the best Vladimir’s films. P.S. Some people will ask: does it really work? In New York seminar Vladimir showed his short-fast work on my friend Franki and me. It is fast, shocking–painful feeling, the experience, which you should breath through. I tested on myself; believe me it works quiet well. Spectaqular restraining and gaining controll techniques with the effective use of surroundings in tight corners of any office space or residence. I have just received my copy of defense in confined spaces. to future projects that you release. Like on Christmas morning I remember as a child, I excitedly tore open the package with a big grin. Inside the box was the new Confined Space DVD! Before my wife knew what was happening, I had the TV off and the DVD player running the newest Systema video by Vlad. All aspects of this product are A+! The DVD features include easy menus to get where you want. The videography showed creativeness lacking in most instructional type videos. And of course, the instruction was outstanding. In his usual coolness, Vlad showed how to defend against an opponent while in a confined, real world space - not a dojo environment. Inside an office, in a doorway, against a wall, sitting, they were all covered. You will see things you never have, and learn them using this DVD. My San Francisco training group already went over much of the video material in practice. Everyone commented on the freshness and practicality of the information. With all that, the price of the DVD is well worth it, but there is icing on the cake too! The demonstrations by Vlad show fast speed "short work" that should take away any doubt from skeptics of Systema. My heart goes out to Nick, Jim and the others who were the short lived "attackers." I just received the Defense in confined spaces DVD and it is simply incredible! attacks occur from these positions. Can't praise the film enough! 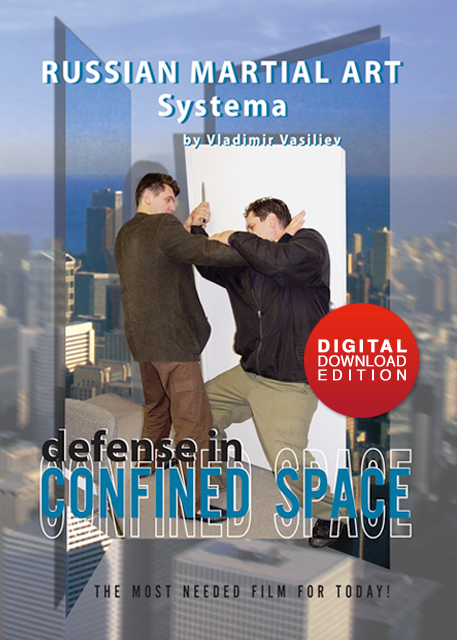 Although technically this is not the first video in the Systema catalog to deal with confined space conflict resolution, defense inside cars is, this video is an example of Vladimirs genius. Vladamir once again shows how to think outside the box even though you may be stuck in one. One major thing that stands out, in my opinion, is how much this work is applicable to persons confined to a wheelchair. Also this is one time Vladamir focuses on control of the subject instead of elimination of him. On a side note, a student of Vladamirs survived a knife attack from one of his clients in his office. Witnesses later stated that the student looked like he was controlling the attacker in such a way that the attacker had fallen on himself with out any appearance of a ‘martial application’ from the student. Those of you who have been with Vladamir for a while will remember Doug, who due to very unfortunate family situation isn’t studying at this time. The second half of the video is brilliant in its detail and explanation of the movements. For those people who cringed at the translation and explanation of the TR* tapes you will be very pleased with Vladamirs thorough attention to detail and his personal explanations. The drills are something we practice at Club Vlad on a regular basis, and now the rest of you can join us by proxy. Over all the video is a must have. For those who have previous videos you will see how much Vladamir has improved in his abilities, which is astonishing in its own rite, you will also gain even further insight in to Systema.
! This video is a riot! Vladimir in a sport blazer with hush puppies beating the piss out of some poor soul as he quietly explains leverage with the desk edge, using a book of poetry to crush the throat or kicking a stool at the oncoming 'crazed-postal worker'; With total finesse- I might add. Awsome. Working in a prison, you deal with an environment of confined spaces, as well being in close proximity to cement walls nearly all the time. situation turns violent. A must for anyone in the field of corrections. I got my DVD just couple days ago. Ive gone through it and I must say I found it excellent. Technical aspects,explaining/demonstrating the principles,as per usual A1,and the way Vladimir teaches and explains always seems to keep attention span. And also,as with most of the vids/dvd's,from safety of the TV room far far away,you do have a bit of a laugh!Vlad does inflict some pain doesnt he!! "Defense in Confined Space" is an instructional film demonstrating that even in confined spaces Vladimir is able to use his environment to assist in his movement and remain connected to his partners. Vladimir reveals that even when confined to a small area, his movements are still highly effective and he remains calm and at peace. There were so many great drills used in this video. A few of them are Vladimir sitting at a desk, standing against a wall, and knife defense while against a wall. My favorite part is the ending demonstration when Vladimir is attacked by his partners -- It was amazing to watch him move so freely and with ease. The new film was so real that it felt as though you were actually in class with Vladimir! It is important and essential to extend your practice through the videos, especially when you are unable tomeet for class. If you have not yet been fortunate enough to work with Vladimir, expect an eye-opening, fun and exciting experience. I recommend watching and studying all the videos produced by Vladimir! On this tape, Vladimir Vasiliev demonstrates examples of defensive work and movement studying drills. In the demonstration he gives perception of confined space not as a set of obstacles to be avoided, but as a number of opportunities to be used. Examples of defensive work are given multiple times. 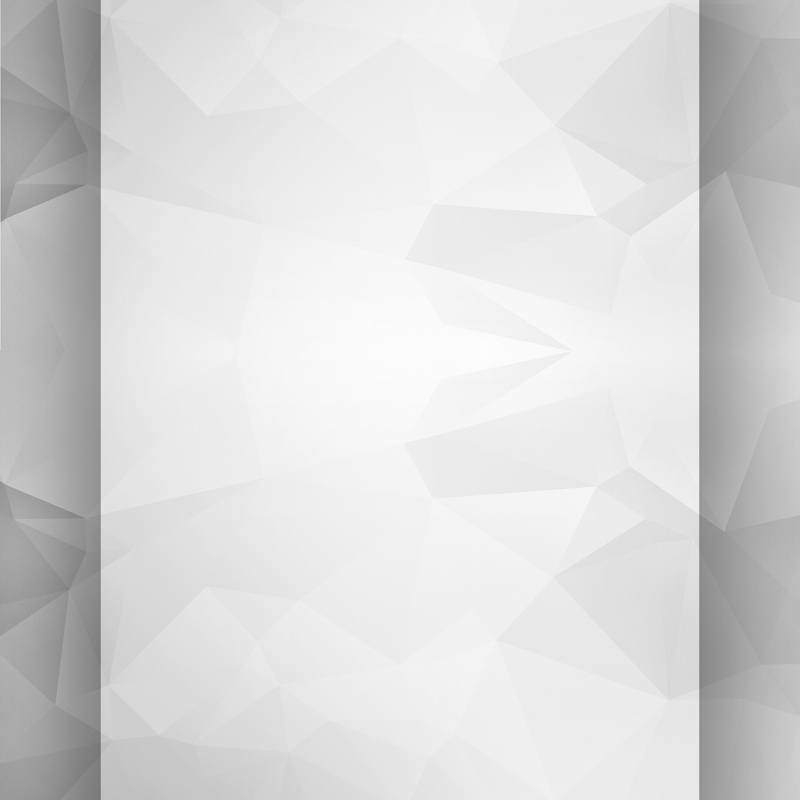 Slow speed used to show details; normal speed to show full effect and several variations of techniques are repeated at slow speed. Vladimir's partners provide the demonstrations with extra realism and honesty. Drills cover simple defensive manoeuvres: this leads to a deeper understanding of given examples. Simplicity allows for spontaneous work thus broadening the range of defensive possibilities. Some drills teach to avoid an attack in the presence of an obstacle and some teach to use obstacles to control attacker(s). All drills build up skills and confidence necessary to perform demonstrated defensive work. “Defence in Confined Space” gives an overview of work usually omitted due to its complexity. It’s an absolutely necessary guide for those who want to achieve defensive skills, efficiency and confidence in awkward places and situations. Just finished watching Defense in Confined Space and was once again amazed at the excellent work shown by Vladimir on how to work in small and/or confined space. Small office or against the wall, there is a way out - and you're shown exactly how, along with some nice practise drills. From dealing with threatening or menacing gestures while sitting at your desk to outright aggression froms holds, punches, kicks or knives , this DVD covers it all. Anyone who works at a desk, from teachers to security guards and even pilots, can appy these concepts for self defense. Standing or sitting in confined space is no longer a liability, use a book or the chair you're sitting in and watch the results! Great to see Nick get beat up too! This DVD has quickly become my favourite because of its brutal honesty when dealing with close-quarter situations. Also, kudo's to Nick and the others who provided their assistance to the production of this video. I think they deserve a drink after some of the techniques used on them - ouch! 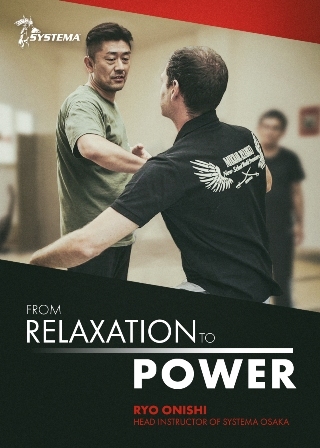 Vladimir has produced the most accessible DVD on systema to date. Vladimir's ability to express the movement and deep understanding of the art comes over as easily as his command of the multiple and varied situations. A great DVD. Just watched Vladimirs new DVD "Defence in Confined Space" WOW! !!!!!!! this has got to be the best yet from RMA. Vladimir demonstrates how you can defend yourself while sitting behind a desk,up against a wall or when you are cornered. He explains how to use the desk and the wall to your advantage,and this is demonstrated in Vladimir's fashion, SWIFT, ACCURATE,FREE and VERY VERY EFFECTIVE!!!. Many thanks for sharing this with us all Vladimir. Keep them coming!!!!!!!!!!!!! Vladimir takes you through many common scenarios where you must work quickly to save yourself from being harmed. You are given in-depth instruction on how to work in all states of physical restriction against kicks, grabs, chokes, all types of knife attacks, and multiple assailants. You are even shown what to do while being pressed against the wall while in various “impossible” holds under knifepoint! Filmed from multiple angles, and demonstrated at both slow and regular speeds, the format of this film ensures quick absorption of the material and concepts. Confined Spaces is the most realistic and practical self-defense video on the market! The latest in Vladimir Vasiliev’s extraordinary/revolutionary series, Confined Spaces demonstrates once again that the Russian System works in any environment. Utilizing what would normally be considered obstacles (chairs, desks, drawers, walls . . .), Vladimir reveals that these are merely self-imposed limitations. This video opens our eyes to the possibilities, thereby freeing our minds and in turns our bodies. Always exciting to watch, Vladimir’s work is exceptionally quick, smooth, devastating, . . . real. Defense in Confined Spaces is THE film to own this year!!! Without any debate, this is my favorite film from Vladimir. His movement and explanation leave me speechless and inspired. I am re-energized in my training and have since found myself using many of the principles he demonstrates so easily in the film. My colleagues have also seen the remarkable difference in my training and application and have asked where did I get such motivation. I am honestly confident Defense in Confined Spaces will revolutionize much of the training and philosophy found in the Russian Martial Arts community that Vladimir was so instrumental in establishing more than a decade ago.